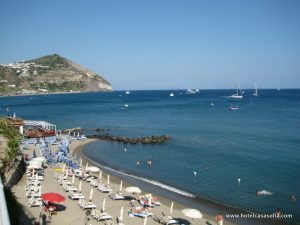 Ischia is the largest island in the Gulf of Naples and the main island of the Phlegraean Islands. 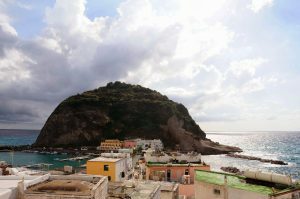 The highest point is the Monte Epomeo with 789 m.
The island has 62,000 inhabitants and is divided into six municipalities: Ischia (with the districts Porto and Ponte), Casamicciola Terme, Lacco Ameno, Forio, Serrara Fontana and Barano. 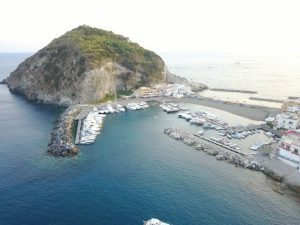 Ischia Porto is the economic center of the island, as it also handles the main ferry service between the island and the mainland and Forio is the cultural center. The area of ​​sciatica is approximately 46.4 km ². The island circumference is about 34 km. Due to the volcanic origin of the island a high species richness is available. Lizards and geckos are found almost everywhere. Numerous butterfly and other insect species can be observed. The north of the island is more dense, and due to the climate many crops grow very well (wine, tomatoes, lemons, figs, pomegranates, dates). The island is cultivated intensively up to steep regions. On the south coast is the pearl of Sciatica: S. ANGELO, where the Hotel Casa Sofia is located above the sea. An old fishing village – the only place on the island without traffic. An oasis of calm and a place popular with international visitors with 600 inhabitants – an insider tip for individualists. Before about 30 million years ago, a huge mass of glowing lava burst from the hot to the 1000 degrees magma layer on which still floats the whole Gulf of Naples, by the sea upwards. 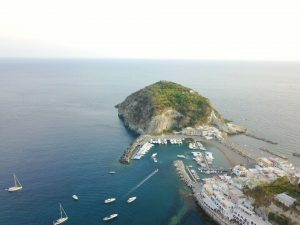 The island with the many names ARIMA, Pithekoussai, AENARIA, ISCLA, Ischia – was born into a thousand years of labor. There have always been earthquakes, landslides, volcanic eruptions, divisions and lava flows that modeled the image of the island. 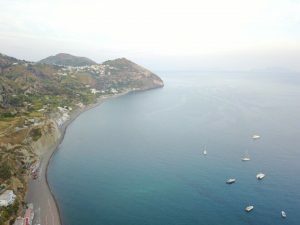 Ischia consists only of igneous rock of various hardships and shades between black, brown, green and yellow. The yellow tuff can scratch with a fork, but hardly beat the heavy lava with a hoe into pieces. The sulfurous vapors of the subsurface of the Magma break many places through the rock crusts. Where underground water enters into the fire veins, it is heated and fired by hot fountains outside. The island falls almost evenly every year by a few millimeters into the sea and into the magma back. Radicals Greek settlements was discovered in depth of 6 m on the seabed near the coast. Of particular interest is the AragoneseIschia Ponte. On a rock – just off the coast – Fortress lying is worth seeing in various respects. For one, a beautiful garden with olive trees, oleanders, cacti, palm trees and many other plants was built on the rock, on the other, the historical background is very interesting. The fortress, which is now privately owned and can be visited, has been taken since the 12th century by many conquerors and occupied. In the Middle Ages lived at peak times in 1890 families and nuns, priests and princes on the rocks. As enticing as macabre, the nuns tomb. Here brick chairs were set up in a small vault along the walls. in the seat they had an opening. Died now a nun, the body was set to such a chair and decayed in this posture. The thereby escaping bodily fluids flowing through the opening in the seat and dropped into a special vessel, which was placed under the chair. Was the corpse completely skeletonized, this was taken to a special bone space. was problematic about this whole thing is that the surviving nuns spent several hours a day in this tomb to meditate on death. The poor air and partially poisoned climate in the nuns tomb many nuns died early. that the surviving nuns spent several hours a day in this tomb to meditate on death. The poor air and partially poisoned climate in the nuns tomb many nuns died early. that the surviving nuns spent several hours a day in this tomb to meditate on death. The poor air and partially poisoned climate in the nuns tomb many nuns died early. Not to be missed is a trip to the Archaeological Museum in Lacco Ameno, info at: http://pithecusae.it The exhibition is also the famous “is Nestor’s Cup “, with the oldest known inscription in Greek letters . In each island town has a very handsome churches: for example, the seafarers’ church Soccorso in Forio or the Santa Restituta in Lacco Ameno, under which there are still marvel further excavations. 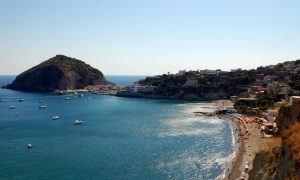 Sant Angelo celebrates its Archangel Michele on 29 September with a procession both on land and at sea. At the end there is an extraordinary fireworks extravaganza. 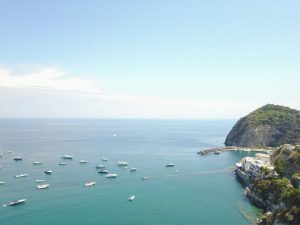 Also what concerns films is world famous Ischia: Ischia on the well-known comedy plays Avanti in 1972 by Billy Wilder , drawing a folkloric image of the island at the beginning of the 70s of the 20th century. 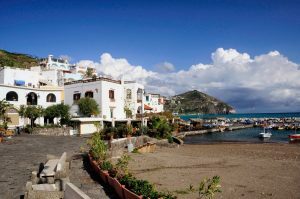 In other films Ischia served as a filming location and scenery. 1952 The Crimson Pirate (The Crimson Pirate, United States) 1957 played Romy Schneider in Scampolo a naive young woman who turned the great architect Signore Costa’s head. In 1959, the film was Purple Noon (Plein Soleil, F / I) with Alain Delon turned in the lead role in large part to Ischia. Ischia case represents the fictitious place Mongibello . Even the remake of The Talented Mr. Ripley (The Talented Mr. Ripley, USA 1999) was filmed on Ischia. 1961 Freddy and the Millionaire , a German / Italian film comedy starring Freddy Quinn and Heinz Erhardt. 1963, Cleopatra with Elizabeth Taylor and Richard Burton . In these films, especially the Castello was used as a historical setting. 1966 serves St. Angelo, situated in the south of the island as a backdrop for scenes of the fictional coastal town “Sevalio” in the film After the Fox! (Caccia alla volpe, F / GB / I) with Peter Sellers and Britt Ekland .